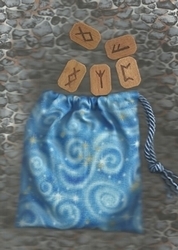 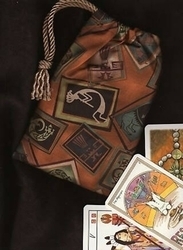 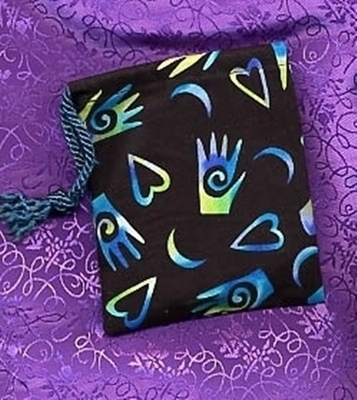 Short Bags - Hands and Hearts Short Bag - Tarot Bags, Tarot Cards, Cloths, & More! Healing energy radiates from the spirals in the palm of these green and blue hands. 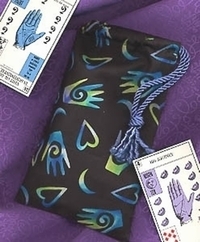 The spiral hand is a symbol of powerful healing and shamanic forces, commonly seen in the American Southwest, and is often called the Shaman's Hand, or the Healing Hand. 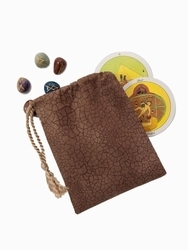 Covered in Healing Hands, crescent moons, and hearts, this bag is the perfect choice for those who practice energy healing techniques such as Reiki.